It is official!? 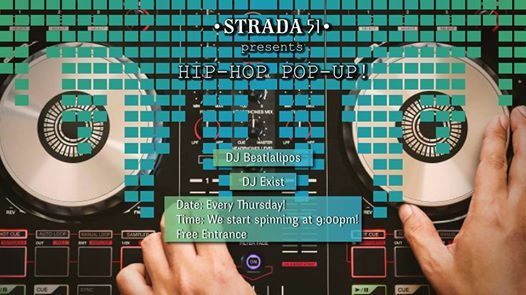 "Hip-hop Pop-up" is now happening at Strada 51 every Thursday!? 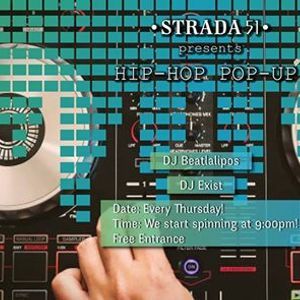 Rapper, producer, and DJ Beatlalipos will be playing some of the best of hip-hop oldies tunes alongside graffiti artist and DJ Exist Ai! 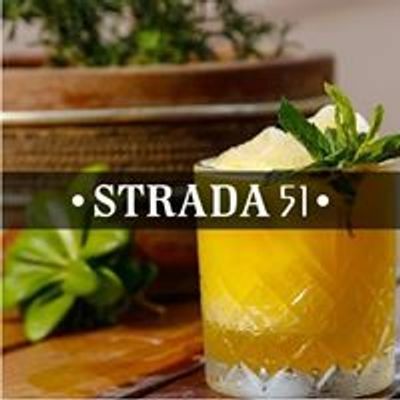 DJs start spinning at 9:00pm so be sure not to miss a single beat! Entrance is free for all humans and pets.